Only recently isolated as a stand-alone substance, Graphene is a nano-material with extraordinary properties and many important applications that are only now being discovered. ZEN Graphene Solutions Ltd. (TSXV: ZEN) has set its sights on becoming a world leader in the discovery and development of graphene material for all applications requiring few layer, high quality Graphene. 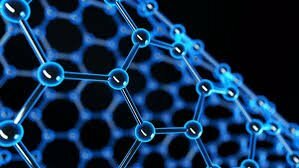 ZEN is uniquely positioned to participate in the exciting, emerging marketplace of Graphene production as both a supplier of large quantities of top-quality graphene material and an active collaborator with the researchers who are developing new applications for this super material.